Tim has been in the insurance business for over 30 years. Prior to merging with Robertson Ryan in 2006, he was the principal owner of Beadle-Ewing Insurance. Tim handles all types of business insurance coverages, with a specialty in Worker’s Compensation protection. Tim can also assist you with your life and health insurance needs. He is a Past President of the Rotary Club of North La Crosse and is active in several non-profit community organizations including the La Crosse Family YMCA & Chrishaven Group Home. 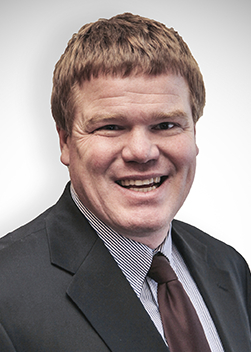 In addition, Tim is co-chair of the Technical Committee for the Independent Insurance Agents of Wisconsin (IIAW). This committee is responsible for identifying insurance policy language that is difficult to interpret or is often misinterpreted and either working to change the language or keeping IIAW members informed of these coverage issues. Tim, his wife, Jackie, and 2 children live in La Crosse. They enjoy golfing, boating, diving, archery and rock hounding. Lake Superior agates are prevalent in the La Crosse area and the family enjoys finding and polishing them. Some they wire wrap and donate to various charity auctions in La Crosse.